Flock to this fried chicken and beer joint. 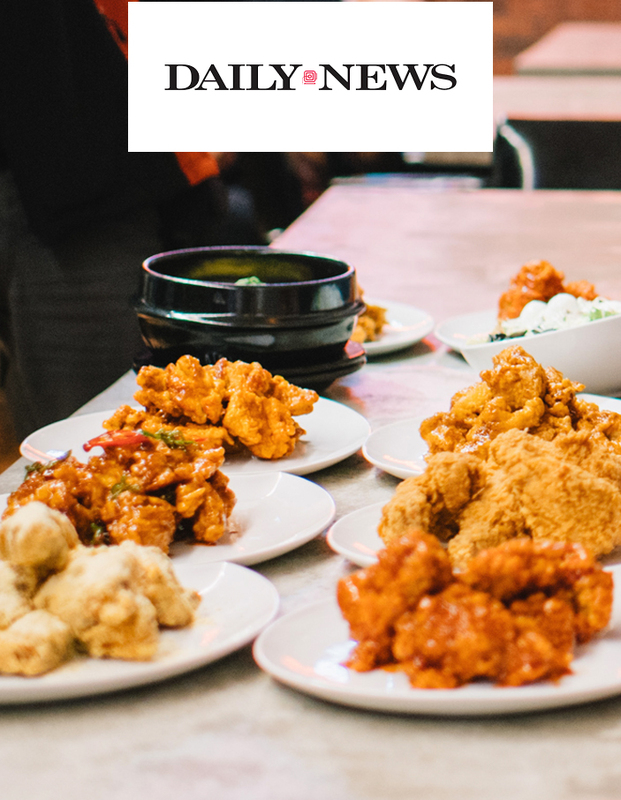 Bbq Chicken , a popular Korean chain, brings its first flagship location to New York City Thursday in Koreatown (25 W. 32nd St.). You’ll find a full service restaurant and bar with sake and Japanese whiskies available downstairs, and a grab-and-go scene upstairs. The crispy chicken skin here is a result of a two-day prep process that includes marination, battering, breading and frying in extra virgin olive oil. The wings are also available in flavors like Golden Olive Spicy; Soy Sauce; Honey Garlic; and Red Hot Garlic.